The Historial, Museum of the Great War in Péronne opened in 1992. A highly respected museum devoted to the history of the First World War, the Historial studies the full cultural, social and military scale of this important chapter of history. The Historial, Museum of the Great War in Péronne opened in 1992. 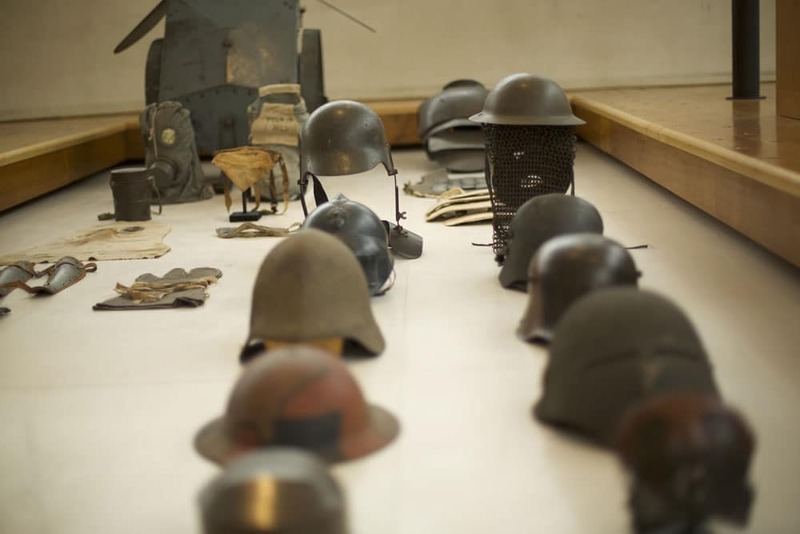 A highly respected museum devoted to the history of the First World War, the Historial studies the full cultural, social and military scale of this important chapter of history. The perspectives of the three main European nations at war (France, Germany and Great Britain) interweave through the memories of war experienced from the battle front to behind the lines. 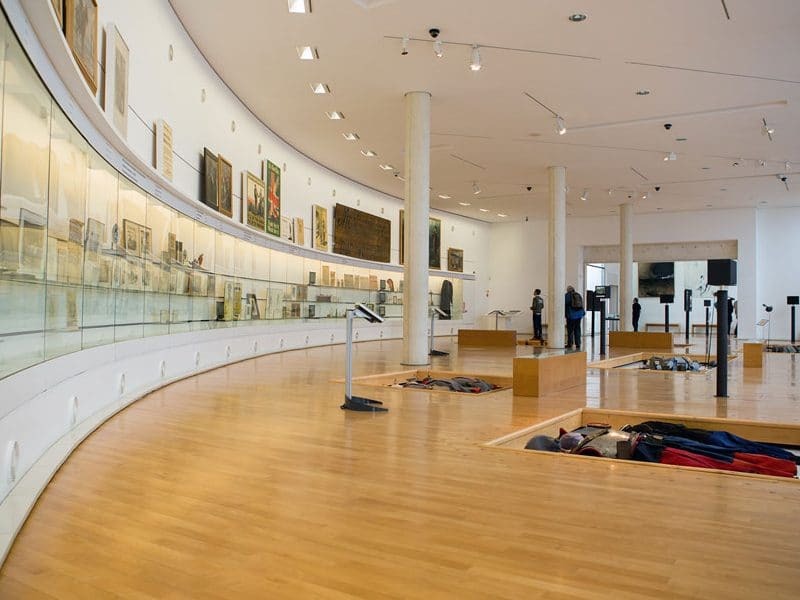 The museum was conceived as a museum of cultural history, demonstrated by its scenography that places individuals at the heart of its display: soldiers and civilians, prisoners-of-war and populations displaced by war or living in occupied areas. The aim of this anthropological approach is to illustrate humanity in a war that affected the whole of society. The great singularity of the museum is the way in which the three main belligerent nations are compared, demonstrating and explaining how populations reacted when confronted by a conflagration of proportions never before seen according to their origins, their culture and their particular way of perceiving the war. 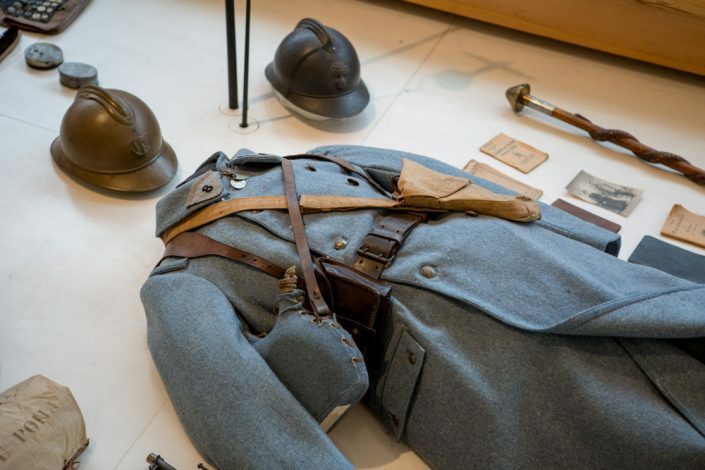 The Historial, Museum of the Great War not only studies the five years of war, but also proposes a reflection upon the origins and consequences of the First World War. Casting the mould of the 20th century, the First World War made a lasting impact on a geopolitical and sociocultural level. Presenting every facet of the war enables a reflection on peace to commence in view of the hardships suffered by both the past and the present world. The Historial, Museum of the Great War thus invites visitors to question the notion of ‘conflict’ and to think about our world, past, present and future. 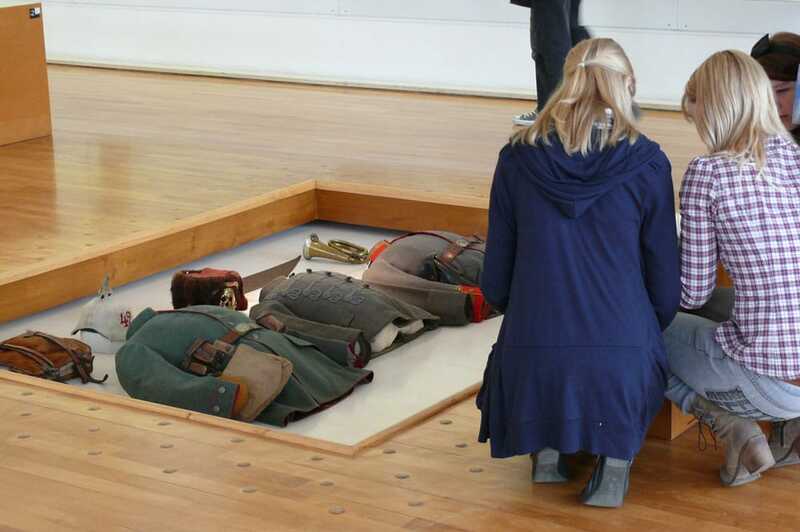 Weapons and military equipment are displayed in the centre of the galleries; placed on the ground, in pits, they pay testimony to the common suffering of the soldiers. The lives of the civilians, each and everyone ‘mobilised’ by war, are studied in the wall cabinets, divided into three sections and respectively dedicated to Germany, France and Great Britain. On the walls surrounding the galleries, glass cabinets divided into three levels, respectively dedicated to Germany, France and Great Britain, confront and highlight the attitudes and mindset of the different countries at war. The central part of each gallery pays testimony to life at the front, that which concerned every population at war the most. Soldiers of various nationalities are represented by mannequins dressed in their uniforms with their weapons and personal effects by their sides. These bodies, lying in white marble pits cut out of the museum’s floor, symbolise the entire territory of the Somme riddled by trenches, and the common suffering of the men at war. The scenography is as contemporary as the architecture and fosters comprehension and emotion by placing the visitor in close proximity to the artefact, making them feel closer to the actual event. Lastly, and this is what makes the Historial a truly international museum of compared history, these artefacts arise from the three belligerent empires. The display, articulated around man, enables comparisons to be made between the different populations at war, while also clearly identifying the world of the rear from that of the front. Notices in four languages, film monitors, sound archives, and touch screen tables and tablets are just some of the many installations available to visitors to enable them to gain an even greater comprehension of the museum’s display and collections.